Hi - I was given some simsia calva seed from the LBJ wildflower center. It doesn't have a lot of info about starting the seeds, so any help is much appreciated! I tried starting some outdoors last year with no luck. I live in New Mexico, so it's quite dry - might I have better luck starting the seeds indoors in pots? Simsia calva (Awnless bush sunflower) is native to New Mexico as well to a lot of counties in West Texas. It is considered both an herb (herbaceous blooming plant) and a subshrub. We have a feeling that, rather than having been purchased directly from the Lady Bird Johnson Wildflower Center, your seeds were purchased from the tent always maintained at our semi-annual Plant Sales by Native American Seed. The Wildflower Center itself does not ordinarily sell seeds, except for a few pre-packaged mixes in the Center Store. 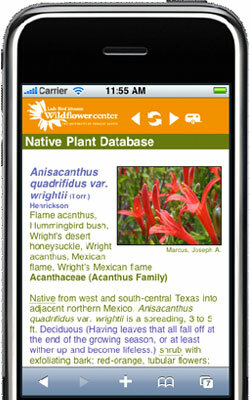 We went to the Native America Seed online catalog and found this page on Simsia calva (Awnless bush sunflower). Even then, we still saw no very good information on the propagation of this plant. Although it appears on the USDA Plant Profile Map as being native to New Mexico, apparently county information on the plant had not been reported, so we are not sure if Bernalillo County has the soils and other conditions favorable to this plant. We found an article from Naturalist.org which you should read and note the comments under "Range:"
"In the United States, Simsia calva is prominent throughout Texas, through the trans-Pecos mountains, and leading into New Mexico's southeastern portion." Since Bernalillo County is in north central New Mexico, that might have a bearing on why your seeds did not come up. From the USDA Natural Resources Conservation Service, here is an article that includes propagation and preservation information on these seeds. If you intend to retry propagation with the seeds you have, you might want to test the viability of them. If you are interested in doing your own checking on the viability of seeds, see this article from About.com on How to Test Old Seeds. June 29, 2012 - I live on Long Island and want a privacy evergreen hedge partial sun.